Poster presentations are organized in poster sessions with poster sessions belonging to the same overall topic organized in neighbouring poster areas. Each session is scheduled on a specific day at a specific time (time blocks 1–4). Thereby, each session has a display time (the actual date of display) as well as an authors in attendance time (the actual time of presentation). New for 2019: all poster sessions are scheduled in time blocks 1–4 in parallel to oral and PICO sessions. Time block 5, 18:00–19:00, offers refreshments, and is dedicated to networking and additional poster viewing. The number of each poster paper and of its corresponding poster board is given in the appropriate session programme. The first part of this number indicates the poster area and the second part the running number of the respective poster board in that area. The poster area indicators are A. for posters on the second floor (Red Level) in Hall A, X1., X2., and X3. for posters in the basement (Brown Level) in Halls X1–X3, and X4. and X5. 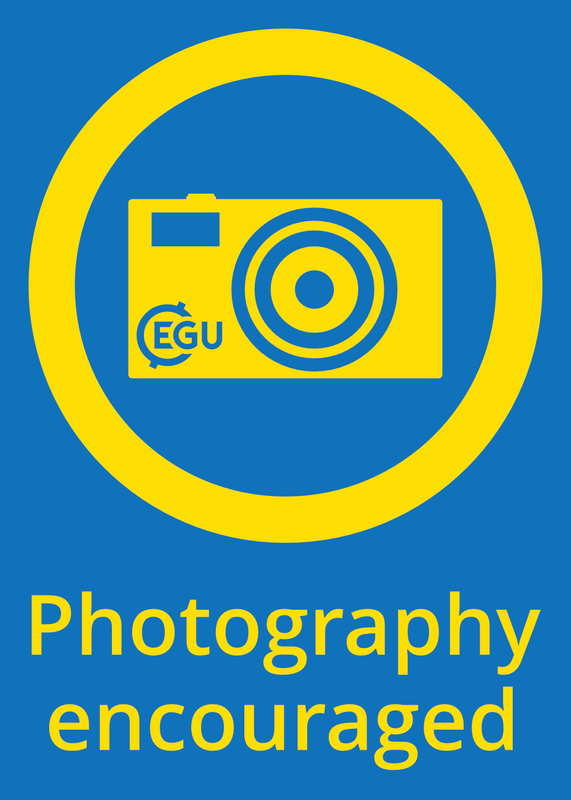 for posters on the ground floor (Yellow Level) in Halls X4 and X5. The general display time is 08:00–19:00. Authors are kindly asked to put up their posters on the day the specific poster session is scheduled as soon as possible (08:00–08:30, but not in the evening before the scheduled display day) in order to enable the conference participants to view their posters at any time on the display day. Authors are then asked to take down their posters between 19:00 and 19:30. After this time, the remaining posters will be disposed of by the conference staff and they will not be stored. All poster boards have power supply and a table attached to the board. You can bring your notebook to show additional data, animations, or presentations. The tabletop of the table attached to your poster board can be lifted to store items as your poster tube or jacket etc. Please note that this storage is on your own risk. The poster halls have portable steps available at the facility desks to help with putting up the posters. There are also chairs for those who need a break from standing. Please ask the conference assistants if you cannot locate a chair, they are happy to help you. Authors of poster papers should be prepared to provide ad hoc a summary of their poster presentation (1–2 slides) during the corresponding oral session (if the session has one) in case a gap should occur in the time schedule or if the convener has foreseen the presentation of poster summaries during the oral session. 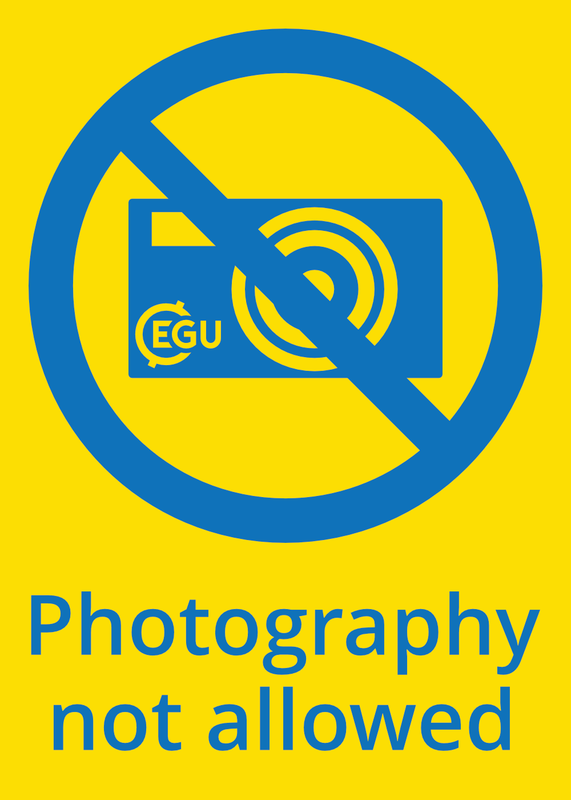 Place EGU's official graphic whether you forbid or allow photography of your poster (see above). Prepare all diagrams or charts neatly and legibly beforehand, in a size sufficient to be read at a distance of 1.5–2.0 metres. The type is recommended to be 2.5 centimetres high. Use different colours or line-types for each line or bars contained in your graph or chart. Please ensure that the paper you print your poster on does not shine through. At the conference, missing presentations are categorized as no-shows if the abstract has not been withdrawn by the time of the presentation as given in the programme. Such no-shows will be recorded and conveners will be informed after the conference. No-show authors will be asked for reasons. Without appropriate reasons, these abstracts and their PDF files will be removed from the conference website and a message "withdrawn after no-show" is added to the presentation slot in the online programme.